Welcome everyone to the event hub for the sixth annual Riot of Rot, Where clans all around Sornieth celebrate survival! This year Plague wanted to take a somewhat softer more fun approach to survival. I would like to introduce to you The Pup Scouts of Sornieth! Where dragons from far and wide are invited to join our Mirror packs in honing their wilderness survival skills. Remember to check back here weekly or add yourself to our pinglist to see what new events have become available. There are even some events yet to be announced! Plague has decided to continue the tradition of hosting fun Riot of Rot events all month long! Each week new activities will become available so check back every Sunday to see what new events have been added! (Or add yourself to the Pinglist). Most activities are for everyone to enjoy, but the few denoted in maroon text are Plague only! Riotous Recogniton Awards: An all flights Rot Bomb. 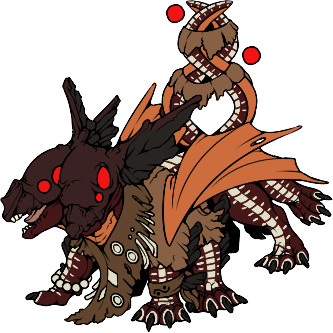 Show users you appreciate them by sending them an award from the Plague Pup Scouts! RoR Community Choice Writer’s Fest: A fun writing contest for all flights! Halloween is Forever Raffle: Mockfruit and Curio's Halloween Is Forever Raffle The Stupid Horse Clan's forever-youngling has grown some very unusual pumpkins. Did that one just...move? Come get your free entry to win one of thirteen eggs! Altar Room: Fundraising effort to turn your materials, trinkets, food and other goodies into treasure, to add to the Dom Bank! All you have to do is send your unwanted stacks to us in exchange for badges and prizes! Pup Scout Treat bags: For gems or treasure you will receive random prizes! There are also tiered badges up for grabs! All proceeds go towards Plague's Dominance Bank. Plague Profit Squad: Compete against other germs to earn the most profits! Army of Rot: Earn badges by completing goals with Plagues exalting leaderboard! Goals and Incentives: Yet another Leaderboard with badges. Reach certain goals and earn all the shiny badges. Coliseum Scavenger Hunt: Fight through the coliseum and log the special items you find, earn points towards a prize! Out Of Flight Raffle: Do you want money for your fodder as well as the chance to win some amazing prizes? Head over to Plague's Out-of-Flight Raffle! Our receivers are ready to receive your dragons to our Plague Scout program. Come lend a hand! In-Flight Raffle: Plague Members! Come and mark down your exalted dragons for a chance at some wonderful prizes! Pup Scout colouring Contest: compete against other germs to earn the most profits! Pup Scout Pumpkin Carving: Enter your carved pumpkins in a variety of categories! Win prizes!! Scrimshaw Scrawls: Want art and have fodder to spare? Scrimshaw Scrawls is here for you! Artists of various crafts offer their wares in return for leveled fodder. All flights welcome - and for this special RoR run, Plaguelings included! Get the Snek: Flip the tiles and get prizes. New tiles every day with tons of cool prizes! Pup Scout Costume Contest: Dress your dragons up to fit the themes, have fun and earn prizes! 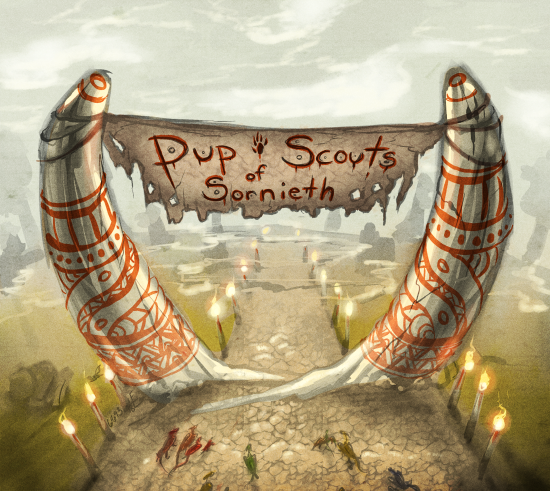 Welcome to the Pup Scouts of Sornieth! I will be your guide Baph. I hope you’re enjoying the events so far! We would like to invite you to join us at our Plague made scouts camp for the month of October. What I need from you is simple, pick a dragon and dress them up in your best Scout attire then take part in our games and festivities. Each week new activities will become available, even some that haven’t been announced yet so remember to check back! A New badge will become available each week for taking part with your newly initiated pup scout as well as badges and prizes available with all events! 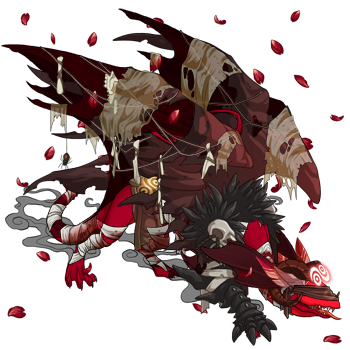 First and foremost you’re going to need a dragon to join the Pup Scouts of Sornieth so either find a fitting dragon on the Auction house or dress up one of your own (you will not be asked to exalt this dragon at the end of the events). We want to see your best pup scout attire. Set them as your user icon and introduce them here in the thread. Completing these tasks will earn you a badge for this week! All of our upcoming events have been added to the main hub now! First off I would like to apologize for being gone this weekend, it was Thanksgiving here in Canada... And to keep with the theme of my weekend let me just say I am thankful for all of you and that you want to participate in our Plaguey festivities! I hope you're having fun so far! It's a slow week but we still have a badge, y'all. :P You get this badge for trying at least one of the events we have going, like the Egg Raffle, Writing Contest or sending a Riotous Recognition Award! We are but one week away from Plague's push week for the festival and the germs could be more excited to share their favourite time of the month with you! Pup Scouts all around Sornieth are gearing up and ready to go. It's crafts week over here in plague and we are out in full force making rotten (but still good) treats for all of our dragon friends. 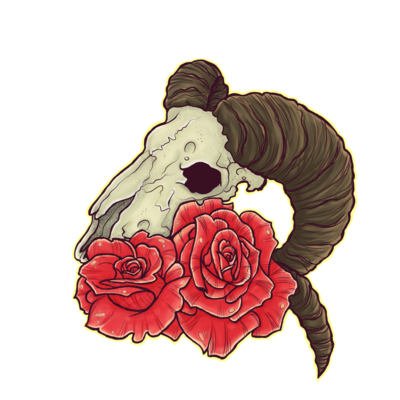 This week to earn a badge go over and grab yourself one of the Treat bags that our lovely Plague Pup Scouts have put together for you! Hey folks, sorry we've been running a bit behind! For this week's badge, out-of-flight folks can earn it by sending at least 5 dragons to our out-of-flight raffle! Plaguelings, you can earn this badge by exalting at least 5 dragons to Mom, which you can record for our In-Flight Raffle and/or Army of Rot! A huge thank you to everyone who has helped bring Riot of Rot 2018 together! You all put so much time and effort in to make everything as lovely as ever! Planning all of this with all of you has been so much fun! Also a huge shoutout and thank you to everyone who participates in our games and has fun! Special Thank you to the event organizers and planners! @Mercedes Can I be added to the pinglist for when events open, and new badges each week? Thank you!